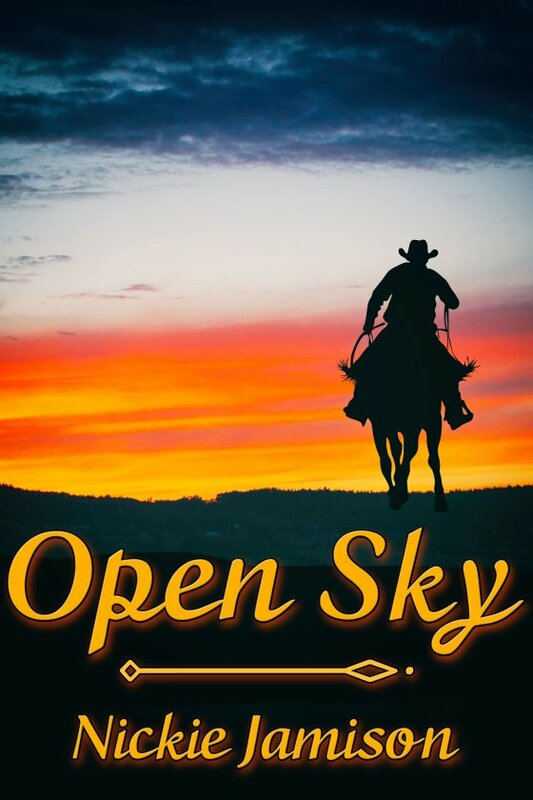 Open Sky by Nickie Jamison is now available! Birdie Black isn’t a queen, but she plays one on TV. Abandoned by her mother and raised by her grandparents, Birdie rose to fame when she landed the role of Queen Arihlia on the hit television series Gilded Swords. In Hollywood she met and fell in love with James Tucker Winthrop, heir to the Winthrop Hotel fortune. But no matter how far around the world she flies, Birdie is always drawn back to her first love, Luke, a cattle rancher in Montana … the place Birdie calls home. On a break from filming, Birdie and Tucker venture back to Montana to meet Luke and his kin, but Birdie’s vacation isn’t relaxing when her mother shows up to wreak havoc in Birdie’s life. Will Birdie’s men be able to save their Queen?